Magic has a long history, and that history tends to accumulate in game stores. Walls of Commander decks, floor-to-ceiling booster boxes—it's a lovely sight for the engaged, but it's easy to forget how daunting it can be to the lapsed or the uninitiated. 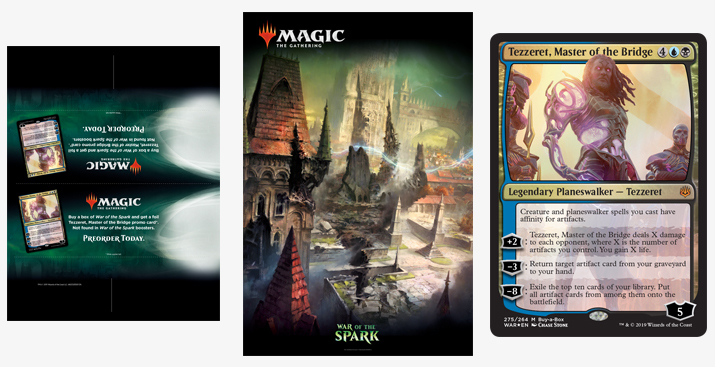 As the Magic product mix expands, it becomes more and more crucial that those players can easily find the latest expansion. 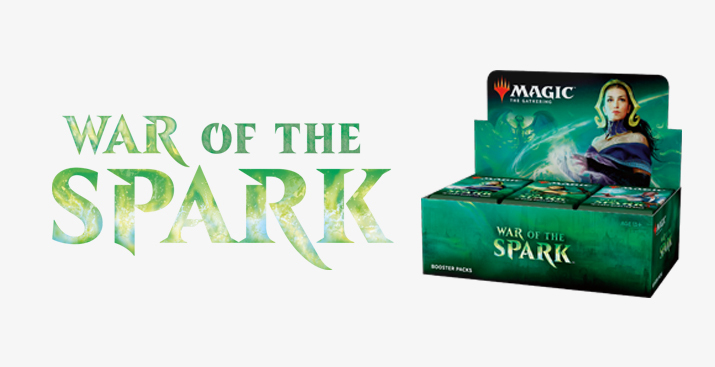 Your War of the Spark marketing kit—the one that comes in the mail—is designed to make sure they can. But it's only half of the tools at your disposal. The other half is our on marketing materials page—a repository of downloadable art to help make sure the latest set gets the attention it needs to succeed. We always make sure to cover the fundamentals first. The set logo, plus logos for all your events and Magic itself, are all there for you to help build your marketing efforts. Beyond that, there's always a complete suite of product shots. The JPEGs are for ecommerce—they're relatively small files so that they will load quickly, especially on mobile devices. The TIFs are large files, so that they can scale for print materials. Get these under "Artwork and Logos" and "Product Shots" here. The Prerelease Early Sale Promotion makes sure you can make the most of demand for a new set, right at the moment demand is peaking. The more you can get the word out, the better chance you have of moving through your full allocation. These assets can help. We've got table numbers, posters, assets for social media, assets for print, an image of the card itself—which, by the way, is a Planeswalker for the first time ever, and it's not in War of the Spark booster packs—and much, much more. When you compete for attention on social media, you're competing in an impossible crowded environment. Bold imagery to accompany your content gives you your best chance of catching the readers eye before they scroll on. To that end, we've got images designed to stand out in a reader's feed, plus headers for your store page, and more. Find it all under "Social Media" here. Prerelease and launch are right around the corner! 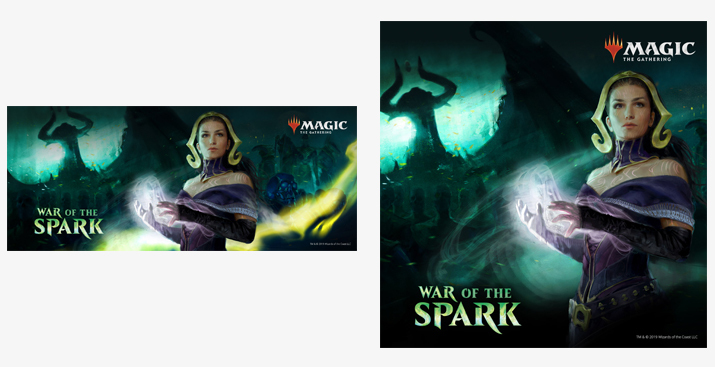 Head over to the marketing materials page and get everything you need to make sure War of the Spark eclipses all else between then and now.